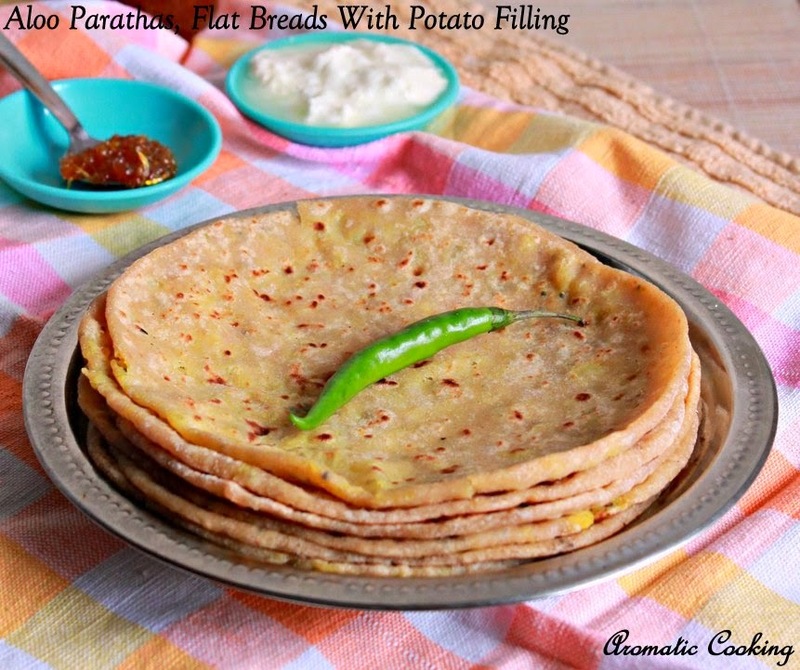 While going through the list of parathas that I have posted in the blog, I found that I have missed the most popular Aloo Paratha/ Flat Breads With Potato Filling. 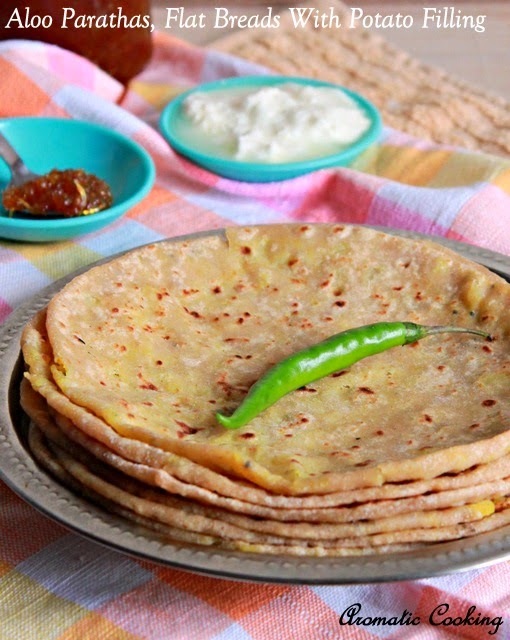 This is one of the most easiest parathas and the filling is mashed potatoes mixed with spices. It's not only very tasty and easy to make, it's also easier to roll out these parathas because of the smooth texture of the mashed potatoes. It's very filling, there's no need for any side dish, it just tastes great with some curd/ yogurt and pickle.. 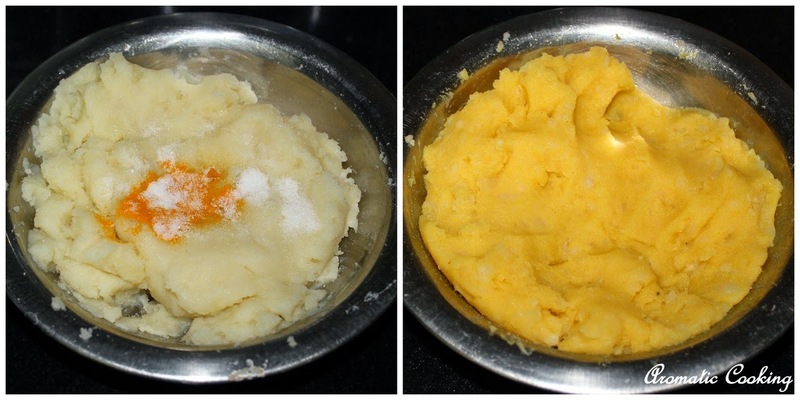 Mix the mashed potatoes with the turmeric powder and salt and keep. 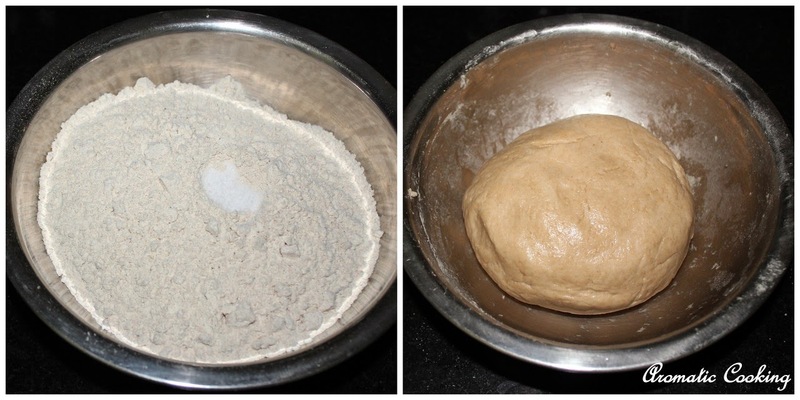 Make a soft dough with the whole wheat flour, salt and water, apply some oil and keep. 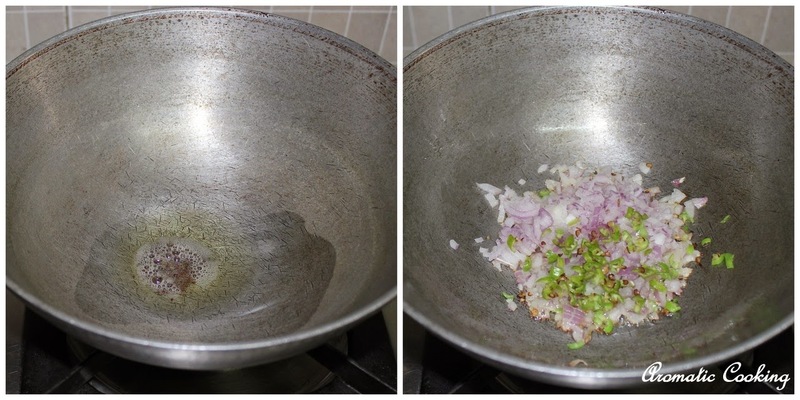 Heat some oil, add the mustard seeds, when it starts sizzling, add the chopped onions and green chillies and mix for half a minute. Add the asafoetida, coriander and cumin powders, amchur powder and mix for another half a minute. Add the mashed potatoes and mix everything well and let it cool. Divide the dough and filling into 12 portions ( I had a little bit of the filling left ). 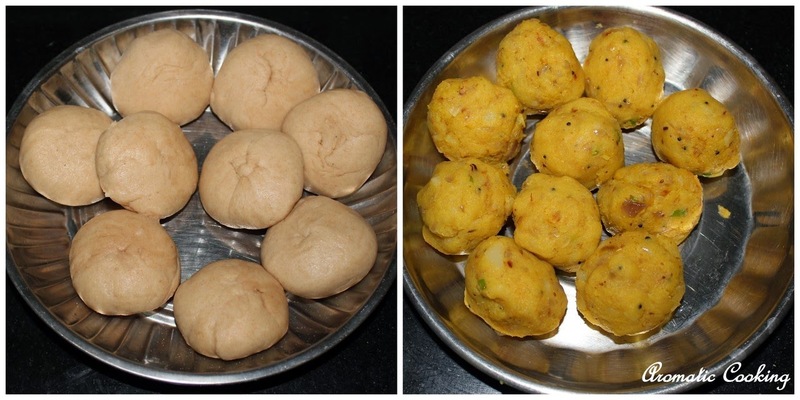 Take a ball of dough, flatten it a little, place the filling and close it ( as shown in the picture ). Dusting with some flour, roll it carefully into a disc. Heat a skillet, put the rolled out disc, cook for a few seconds, flip, apply some oil, flip and cook that side. Then apply oil on the second side, flip and cook the other side too, till you get golden brown spots on both sides, remove and serve warm with some curd and pickle. You can use ghee or butter instead of oil, the parathas will be much richer and more flavorful. You can add some chopped coriander to the potato filling. Sending it to the " Come, Join Us For Breakfast ' event at Cooking 4 All Seasons. Super paratha,love to have it now!! Parathas have come out perfect, looks delicious..
Aloo parathas have always been a favourite. Thank you for the step by step tutorial! This is incredible! I'm really glad I found your blog. I gotta say it's maybe the best food blog I've seen! Everything looks so delicious. I gotta try lots of recipes. Thanks a lot for sharing these recipes.